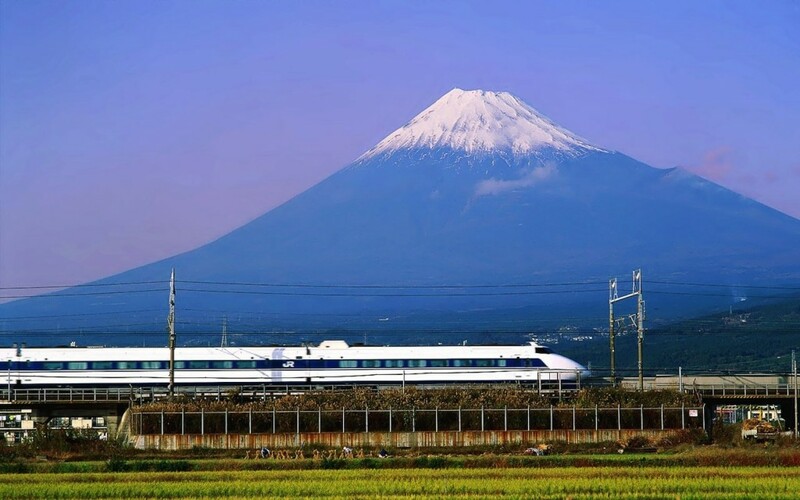 One of the most iconic images of Japan is that of the gleaming white bullet train passing in front of Mount Fuji. 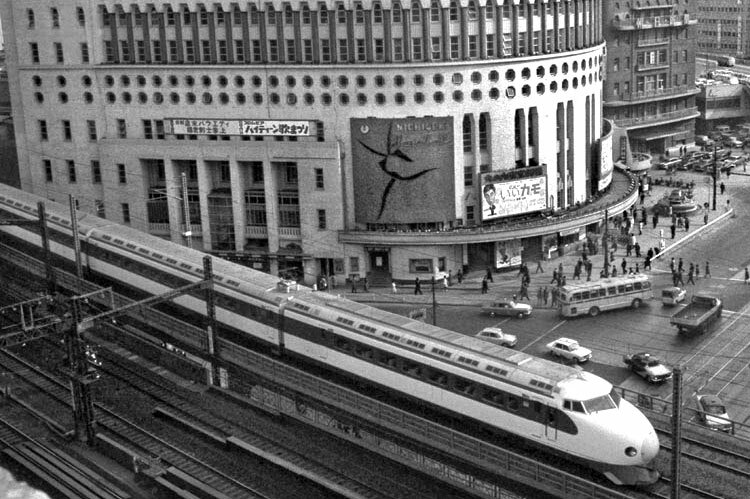 October 1, 2014 marks the 50th anniversary of the launch of the original Shinkansen in 1964 running between Tokyo and Osaka. 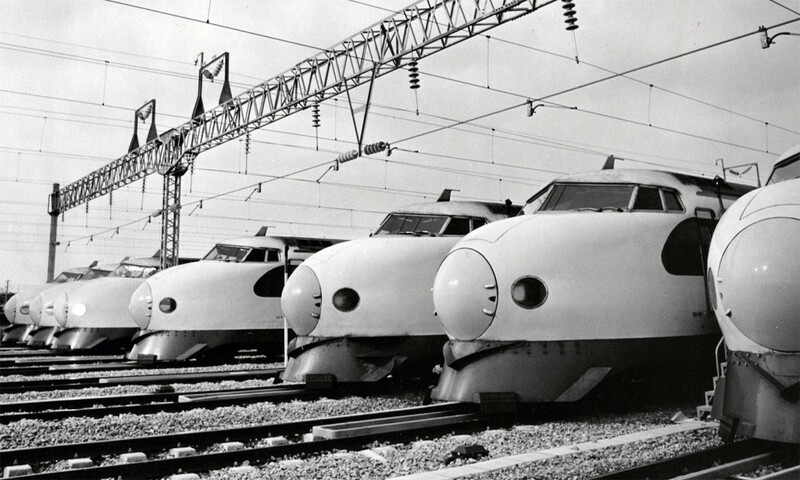 The Shinkansen was launched to coincide with the Tokyo Olympics. 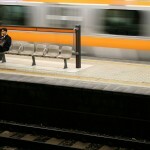 Two bullet trains left simultaneously from Tokyo and Shin-Osaka stations. They traveled at a speed of 222 km/hr and helped promote Japan as one of the world’s most technological advanced nations. The ideal of a high speed rail network was conceived by Chief Engineer, Hideo Shima and Japanese National Railways President, Shinji Sogō. At the time it was widely believed that railways would be replaced by air travel and highways as in America and many countries in Europe. However, Shinji Sogō strongly believed that rail travel worked best in the mountainous country of Japan and convinced the Japanese government to finance the project. The first bullet train, the 0 Series Shinkansen, was built on a wide-gauge track with 400-meter welded rails to reduce bumps and shaking. The trains had airplane-like sealed windows, air conditioning and advanced suspension. Instead of a line of cars pulled by a locomotive, each carriage has its own electric motor. The O Series Shinkansen traveled on the Tōkaidō Main Line between Tokyo and Osaka in a time of just under four hours, compared to over six hours for a conventional train. This travel time has been further reduced to just over two hours today on the super fast Nozomi Shinkansen. The key to achieving high speeds was making the run as straight and level as possible and having as few stops as possible. The biggest expense in building the Osaka-Tokyo line was the construction of over 3000 bridges and 67 tunnels. Development of the Shinkansen line has continued, with new train models now regularly reaching speeds up to 320 km/h, placing them with the French TGV and German ICE as the fastest trains in the world. The next phase for the Shinkansen is with maglev technology. 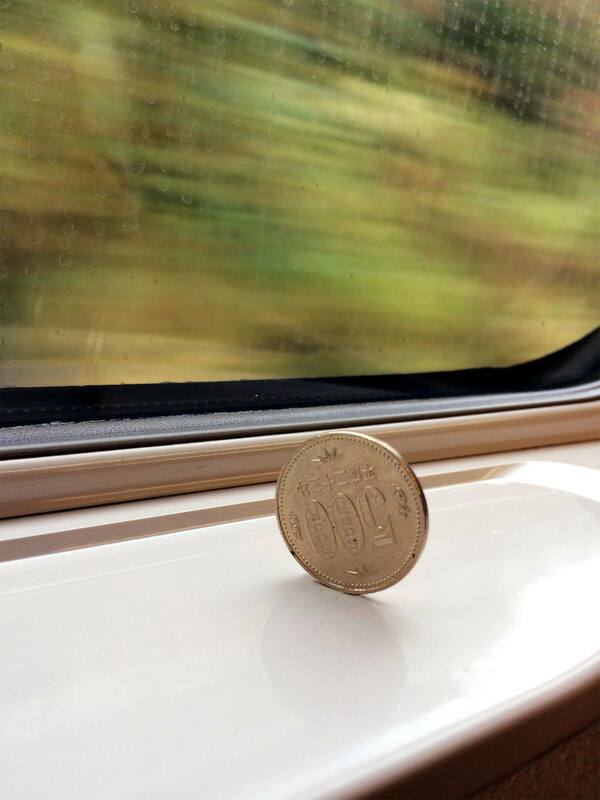 Unlike conventional trains that run on wheels, a maglev train uses magnets to float above the track. The Chuo Shinkansen is a planned maglev line between Tokyo and Nagoya. Traveling at over 500 km/h the trip will take approximately 40 minutes, compared to the 104 minutes it takes today. 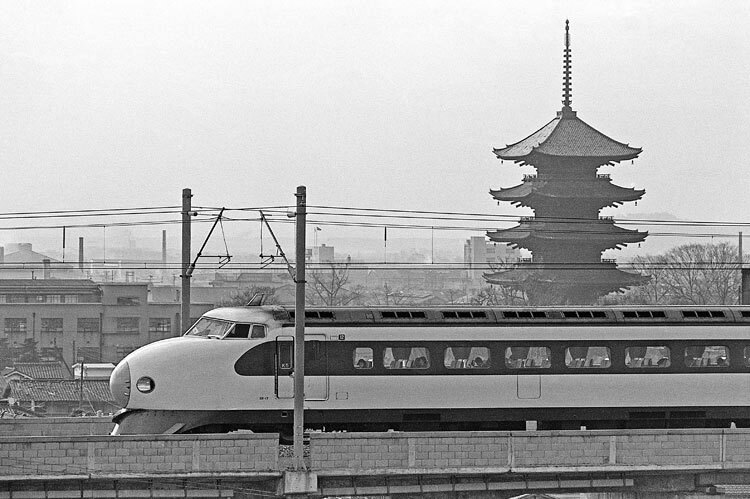 It’s been fifty years since the first run of the Shinkansen brought the age of the bullet train to Japan. Despite increasing competition from low cost airlines, the Shinkansen is still one of the best ways to travel across Japan. 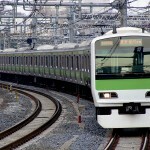 For first time visitors to Tokyo, the Yamanote Line offers a fun and convenient way to see the city. On this show we talk to Byron Jones about getting a job in Japan. 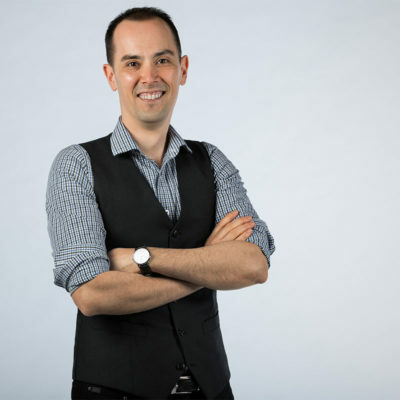 Byron started off as an English teacher and has moved up to be one of Tokyo’s top recruiters. 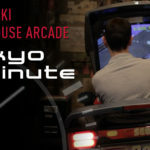 The Kowloon City inspired Warehouse Arcade in Kawasaki is one of the coolest arcades just outside of Tokyo, Japan.